The book is a collection of invited chapters by experts in Chinese document and text processing, and is part of a series on Language Processing, Pattern Recognition, and Intelligent Systems. 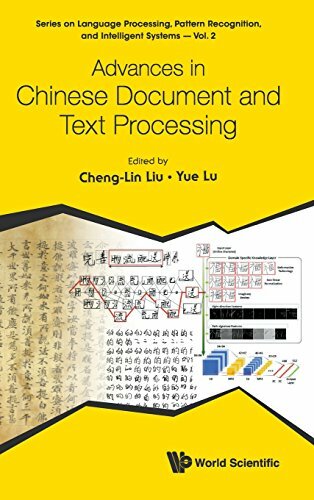 The chapters introduce the latest advances and state-of-the-art methods for Chinese document image analysis and recognition, font design, text analysis and speaker recognition. Handwritten Chinese character recognition and text line recognition are at the core of document image analysis (DIA), and therefore, are addressed in four chapters for different scripts (online characters, offline characters, ancient characters, and text lines). Two chapters on character recognition pay much attention to deep convolutional neural networks (CNNs), which are widely used and performing superiorly in various pattern recognition problems. A chapter is contributed to describe a large handwriting database consisting both online and offline characters and text pages. Postal mail reading and writer identification, addressed in two chapters, are important applications of DIA. The collection can serve as reference for students and engineers in Chinese document and text processing and their applications. Readership: Students and researchers in Chinese document and text processing. If you have any questions about this product by World Scientific Publishing Co, contact us by completing and submitting the form below. If you are looking for a specif part number, please include it with your message.